Witchcliffe is a rural hamlet 10 kms south of Margaret River, known for its quiet laid back lifestyle, world-class wineries, gourmet farm produce, caves and stunning beaches. Known to locals as “Witchy,” Witchcliffe has remained a sleepy little sister to Margaret River, retaining many of its original buildings as well as its character and charm. 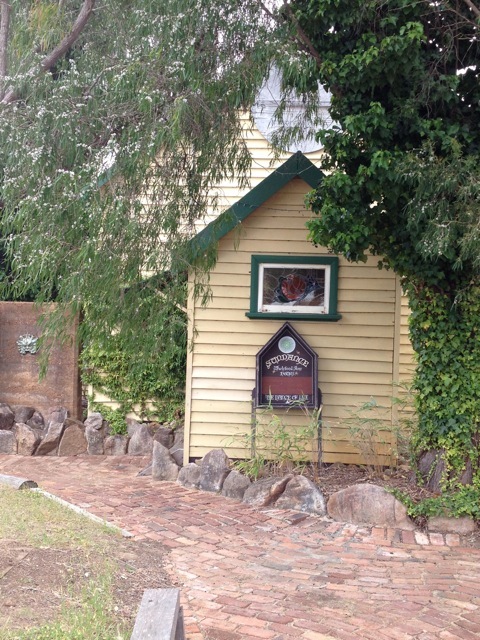 Home to the Druid’s Hall and The Flying Wardrobe, Witchcliffe has embraced its unusual name, thought to be derived from a nearby cave named by the Bussell family, prominent early pioneers in Margaret River. The town was established in 1922 as part of the Group Settlement Scheme and several quaint “groupie” cottages remain in the district, including one on the Ecovillage land. Why an ecovillage in Witchcliffe? The topography and soil types make it highly suitable for human settlement & horticulture, whereas its historical vineyard use was in conflict with existing residents of the town. It took a family move to Margaret River in 2008 for Mike to follow through on that original idea. Over the past 4 years, with his business partners, The Perron Group, they have purchased both properties, plus an adjoining farm (total 385 acres) and two commercial lots within the town centre, with the intention of developing a model ecovillage: a dream that he has pursued as a passionate advocate for sustainable development and permaculture throughout his career.